A recent article in the Mainichi Shimbun mentioned a study carried out by 98 local governments that operate public housing. In 2009, this study found, 1,191 people who lived in these public housing units died alone and in most cases their deaths were not discovered for at least several days. The vast majority of these people were over 65, about 74 percent. In addition, the Mainichi said that UR, the semi-private housing corporation attached to the national government, reported that 472 people over 65 died alone in apartments they run nationwide in 2009. This seems to be the first time any housing entities have recorded and publicized statistics related to kodokushi (dying alone), which will become much more common as the population ages. A greater percentage of elderly people live in public housing, not just because it can be cheaper (UR rents, however, are market rates), but because private landlords usually don’t like to rent to older people who plan to live by themselves, for reasons that aren’t difficult to figure out. Another reason why older people tend to live in public housing is that they’re already there. 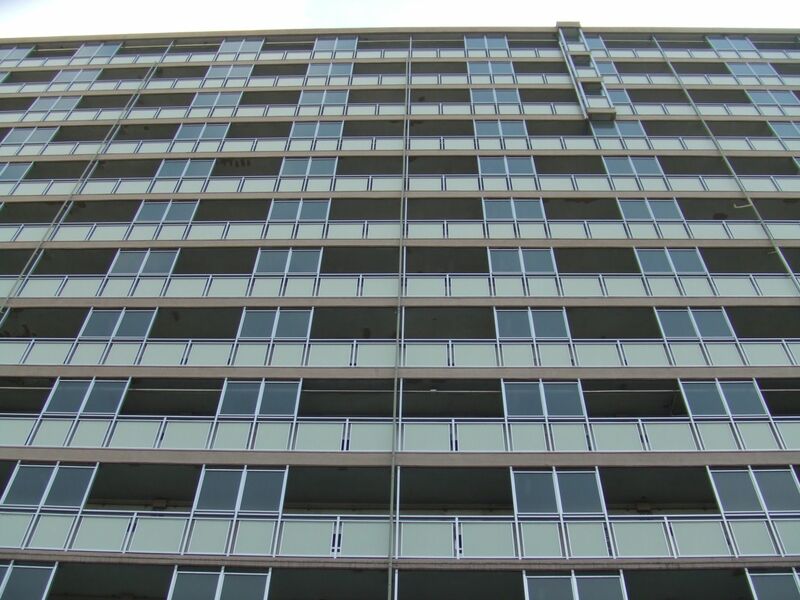 A lot of public apartments were built in the 60s and 70s. People moved in and had families. Their children moved out and a spouse died, thus leaving them alone. A more troubling aspect is why these people die alone and aren’t discovered days or even weeks after they do. The vast majority tend to live in cities, and urban apartment life discourages the kind of community life that nurtures relationships. It’s difficult for older people to leave their apartments, take the elevator down, and go out to see people; and obviously it’s less likely for acquaintances to drop by the way they would if the older person lived on the ground. I live in municipal housing, populated largely by elderly couples/singles and young families. One day in the elevator I bumped into a couple of black-suited undertakers wheeling out a body on a stretcher (presumably an old person who’d died of natural causes) and that’s when I discovered that our elevator has a special “back door” specifically for such eventualities. Have you even seen anything like that?